The Georgian initiative on refugees and temporarily displaced persons from Abkhazia and South Ossetia has nothing to do with humanitarian objectives, said Russia’s Foreign Ministry spokesman, Andrey Nesterenko. During his latest regular media briefing, Nesterenko also spoke about the situation in Afghanistan, the election of a new government in Iran, the opening of the 182nd session of the UNESCO Executive Council and the ‘Arctic Sea’ case investigation. Good afternoon ladies and gentlemen, we are happy to welcome you at our regular briefing of the Foreign Ministry. First of all, yesterday the President of Venezuela, Hugo Chavez arrived in Russia. 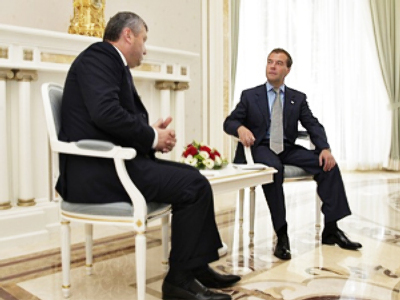 At this moment he is holding negotiations with the Russian President, Dmitry Medvedev, in the Kremlin. Also, today the Venezuelan President is going to meet Prime Minister Putin, the head of the Russian Government, to discuss a wide range of issues concerning the trade and economic relations between Russia and Venezuela. Special attention is to be given to major joint projects in energy, mining, machine building, oil and chemicals and high technologies. During his visit, the Venezuelan President is planning to reach a number of agreements in military and technical cooperation, as well as cooperation in the field of energy. 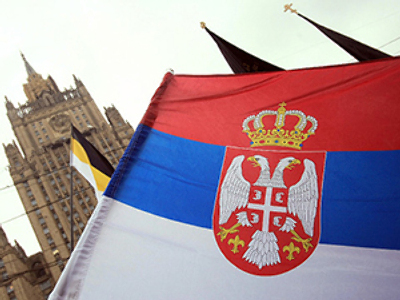 This week, Sergey Lavrov, head of the Russian Foreign Ministry, held negotiations in Moscow with his colleagues – his Slovakian counterpart, Mr. Laicak, and his counterpart in the Dominican Republic, Mr. Morales Troncoso. This morning Mr. Lavrov held a meeting with Mr. Lenarcic, the Director of the OSCE Office for Democratic Institutions and Human Rights, and with Mr. Hammarberg, the Council of Europe Commissioner for Human Rights, who shared his impressions of his visit to the Chechen Republic and Republic of Ingushetia on September 6-9. For more information on these negotiations and visits, please see the Russian Foreign Ministry Website. Tonight, Minister Lavrov is planning to meet with members of the Valdai International Discussion Club. This club was set up in September 2004 at the initiative of the RIAN news agency and the Security and Defense Policy Council, the Moscow Times newspaper and the magazines ‘Russia in Global Politics’ and ‘Russia Profile’. This is a regular event, at which prominent experts discuss Russian foreign and internal policy. Afghanistan has entered the final stage of counting votes from its Presidential and Provincial elections. The military and political situation in the country remains complicated. Even though extremists failed to disrupt the nationwide election, they have still been attempting to destabilize the situation in various provinces. Afghan armed forces and international troops have been repelling these attempts. Recent events in the Kunduz province when peaceful citizens were killed as a result of an air attack on extremists confirms that closer and clearer cooperation between Afghan and international forces is crucial in planning and implementing such operations in order to eliminate civilian casualties. Recently a number of European countries expressed the idea of holding a new international conference on Afghanistan. In principle, the idea of holding this meeting under the aegis of the UN is acceptable. At the same time, as we see it, the initiative must come from the new Afghan government. With active cooperation from the international community, Afghan authorities should determine the tasks and goals for this kind of forum, based primarily on the interests of political, social and economic stability of the country. The government should assume growing responsibility for this process. Cooperation with the U.S. regarding transit to Afghanistan through Russian territory implies cargo shipments by rail and air. From 27th February 2009, according to agreements reached at the Russia-NATO summit in Bucharest on 4th April 2008, rail transit of U.S. non-military cargo has been taking place. Its overall volume has reached almost 1,500 containers. On 6th September this year, the bilateral intergovernmental agreement on the air transit of arms, military equipment and personnel, reached at the July Moscow meeting of the U.S. and Russian Presidents in connection with the U.S. efforts at maintaining security, stabilizing and restoring Afghanistan, was temporarily implemented. In practical terms, this means that all the procedures and rules regulating the issues associated with its implementation provided for by the aforementioned agreement, came into power as of the date above. We confirm all the responsibilities that we have taken up. There were no alterations from the American side either. As we know, on 2nd September the Iranian parliament concluded its consideration of the candidates to form a new government nominated by the Iranian leader, Mr. Ahmadinejad. The 10th government of Iran consists of 21 ministers (I would like to remind you that the previous government was formed with 22 ministers), 14 of them not members of the previous cabinet. There’s been a change of head at such ministries as the Defense Ministry, the Foreign Ministry, the Information Ministry, the Justice Ministry, the Economic Ministry, the Oil Ministry, the Energy Ministry and some other agencies. The approved composition of the government, according to media reports, included only one woman out of the three women nominated – the Health Minister. The Ministers for Energy, Education and Social Issues have not been approved by the parliament deputies. Mr. Nataki retained his office as a Foreign Minister. We are set to develop constructive relations with the new Iranian government. We hope that we’ll see a further deepening of our relations, which will serve the interests of the people of the two countries. In this connection I would like to stress that Russian-Iranian dialogue is an ongoing process. For instance, the new Iranian ambassador in Moscow, Mr. Sadzhadi, has met representatives of the Foreign Ministry over the past week. During the meeting with Mr. Denisov, the First Deputy Foreign Minister which took place on 9 September, a whole range of vital issues in Russian-Iranian relations were discussed. Special emphasis was placed on the prospects for bilateral cooperation with the newly elected government in Iran after the re-election of Mr. Ahmadinejad as President. Both sides showed readiness to develop cooperation in political, trade, economic and humanitarian areas. The sides reaffirmed their desire to continue holding regular meetings and consultations between the Foreign Ministers and other agencies of the two countries. During a meeting with Mr. Ryabkov, Deputy Foreign Minister, on 8th September the two sides discussed the Iranian nuclear program based upon the results of the meeting of the G6 in Frankfurt. They also exchanged opinions on a number of other vital issues. I would like to remind you of the fact that Mr. Ryabkov was the head of the Russian delegation at the G6 meeting. Yesterday a draft resolution on refugees and temporarily displaced persons from Abkhazia and South Ossetia was submitted at the plenary meeting of the 63rd session of the UN General Assembly in New York at the request of the Georgian delegation. We think that the draft resolution submitted to the General Assembly has nothing to do with the humanitarian objectives and concerns declared by its authors. Moreover, this initiative is purely political and is based on the opportunistic approach of Georgia, which tries to shift the responsibility for the current situation that resulted from Georgian policy, which culminated in the Georgian invasion of Tskhinval on the night of August 8th last year. I would like to stress that the draft resolution is a confrontation manifestation. The Russian delegation was the only one that did not receive a version of the draft resolution. Moreover, our proposal to adjust the draft resolution with a view to finding a possible consensus has not been taken into account. No attempts have been made to discuss the document with Abkhazia and South Ossetia. The serious approach of the Russian Federation is shown by the amendments to the draft resolution made by us. We warned our colleagues at the United Nations that adoption of this draft resolution may hamper the discussion on refugees and displaced persons in Geneva. The Georgian side is well aware of this. But still it kept insisting on its initiative. Obviously, Georgia’s primary concern is not the refugees or displaced persons. Adoption of such a document would only distract our attention from the actual work, which is to be done in the region. And it will not contribute to building trust between Georgia, Abkhazia and South Ossetia, which is a must in solving the problems of refugees and displaced persons. Everyone must understand this, no matter what geopolitical view they adhere to. I would like to stress once again that the results of yesterday’s vote – and this was stated by our permanent ambassador at the United Nations – once again pointed to the fact that some countries still stick to double standards, which hinders settlement of the existing humanitarian problems in the region. These are the countries whose policies prevented the Security Council from renewing the mission mandate in Abkhazia and Georgia. This also prevents Abkhazia and South Ossetia from voicing the truth concerning the situation with refugees and temporarily displaced persons, in particular. I would like to mention that we are actively preparing for the opening of the regular 64th session of the UN. President Medvedev will take part in the work of the session and will deliver a speech there. The main goal of the 64th session is further consolidation of various international initiatives. Russia is arguing for a further strengthening of the role of the United Nations in the new multi-polar world, which is being formed now. 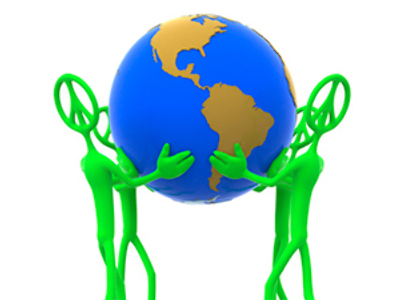 The global economic crisis, aggravation of the situation in a number of regions, food and climate challenges justify collective discussion of such issues within the UN. On 7th September, Paris saw the opening of this session. The main issue of the session was the election of a new UNESCO Director General. The present Director General, Mr. Matsuura (Japan) is leaving office in November this year. I would like to remind you that he was elected in 1999. We highly appreciate his contribution to the development and reforming of the organization. The Russian Federation, Austria, Algeria, Benin, Bulgaria, Egypt, Lithuania, Tanzania and Ecuador nominated their candidates for the position. The Russian Federation nominated Mr. Yakovenko, Deputy Foreign Minister of Russia, for the position of the UNESCO Director General. At the meeting of the Executive Council, all the nominees must present their programs on UNESCO development and answer the questions of the member-states. A new Director General is elected by a secret vote, and the winning candidate must be approved by the 35th session of the UNESCO General Conference (October 6-23, this year). The current session will also analyze the work of the organization in 2008-2009 and the decisions taken over this period, including the UNESCO draft program and draft budget for 2010-2011. Great attention will be paid to educational programs in developing countries, including the program Education for Everyone. The Russian Federation has recently announced that it is ready to allocate an extra 20 million US dollars to UNESCO, which will also be used for educational programs. There will be a discussion on the international program on fundamental science, which will see the launch of the international scientific and educational UNESCO satellite. This project was initiated by Russia. The Executive Council will consider a participation plan in the programs for 2010, which was declared international year of biodiversity, as well as a year of cultural convergence. Reports on implementation of the international program, Information for Everyone, will be presented, as well as reports on a cyber network to teach foreign languages. The members of the council will take decisions on setting up institutions and centers under the auspices of the United Nations, specifically of the Regional Center for Experience Exchange in Museum Business at the Moscow State Kolomenskoye Landscape Reserve Museum. At the suggestion of the Director General of UNESCO, Mr. Matsuura, the Universal Declaration of Ethical Principles on Issues of Climate Change will be discussed by the Executive Council. This is expected to provoke fierce debate. Currently, meetings of the Executive Committee, Committees on Financial and Administrative Issues, on the External Relations Program, on International NGOs and on Conventions and Recommendations, as well as of the Special Committee are ongoing. The plenary meeting of the session will start on 11th September. The consultations in Moscow, on 2nd – 3rd September, discussed accession to the WTO of the Customs Union of Russia, Belarus and Kazakhstan presented by one delegation. The measures to harmonize the legislation of the three countries with the norms of the WTO were also discussed. The agreements reached will be discussed at the regular meeting of the Customs Union to take place in Alma-Aty on 24th – 25th September of this year. We hope that the negotiations on accession to the WTO will continue in October-November this year. According to the information we have, the meeting conducted on 7th September by the Israeli cabinet of ministers approved a project on the construction of 450 additional residential buildings in the West Bank. This concerns finalizing the construction works, which have already started in Maal Adumim, Modein Ilit, Gevat Zeev, Gush Etsion and other towns. Such reports have aroused great concern in Moscow. We are particularly concerned with the fact that they are coming at a time when efforts are being made to re-create the atmosphere of trust between the Israelis and the Palestinians, when both sides need to take steps towards each other. Moscow hopes that the Israeli government will analyze the situation once again and will postpone decisions that directly contradict the provisions of the well-known ‘roadmap’ and are out of line with the repeatedly confirmed statements, including those made within the framework of the United Nations Security Council, the G8 and members of the international Quartet of Middle East peace brokers and the international community, which demand that the building of settlements in the occupied Palestinian territories should be stopped. We continue to proceed from the fact that questions of further status, including the issue of settlements, should be resolved by means of direct Palestinian-Israeli talks. Work is being carried out to re-launch this process. Its results will depend on how fully and clearly the sides will abide by their commitments taken under the above-mentioned ‘roadmap’ plan which includes denunciation of the settlement practice and other unilateral steps capable of creating barriers to achieving a fair and comprehensive settlement in the Middle East. On 25th September 2009, the Central TV channel of the People’s Republic of China (ÃƒÂÃ‚Â¡ÃƒÂÃ‚Â¡ÃƒÂÃ‚Â¢V-10) launched a Russian-speaking TV channel. Russia was happy to learn of the start-up of a Russian version on the central TV channel of the People’s Republic of China. This is a very important event and a part of the year of the Russian language in China. We hope that this channel will broaden Russians’ knowledge of China, a friendly country to us, and will contribute to mutual understanding between the people of the two countries. Concerning the connection of this TV channel to a satellite or other broadcasting system, our Chinese partners are currently discussing the issue with the owners of such resources. If we see a Russian Chinese-language channel broadcasting in China, we expect that it will have similar opportunities to approach Chinese audience. In addition, we hope that the English-language TV channel, Russia Today, will have access to the relevant TV networks in China. What are the prospects for renewal of the six-party talks on the denuclearization of the Korean peninsula, taking into account the reports on successful uranium enrichment and new nuclear warheads production in North Korea? I will give you an answer. We noted the recent announcement by North Korea regarding this. And this is not the first time North Korea has voiced such plans. Yet, currently the Russian Foreign Ministry does not have any information on the true situation, or on whether the latest announcements by Pyongyang are true. The Russian attitude to nuclear tests by North Korea remains the same: they are not in line with the denuclearization policy declared by Pyongyang and they may lead to further aggravation of the situation in the region. We understand North Korea’s concern about security issues, but still we think that they should be resolved through political and diplomatic means, rather than an arms race in the region, all the more so a nuclear arms race. Currently Russia, together with other parties concerned, is taking active diplomatic steps to restore six-sided negotiations, which we believe is ideal for the settlement of the Korean nuclear program issue, as this makes it possible to make mutually acceptable decisions taking into account the legal interests and concerns of all the parties. The Russian Foreign Ministry is closely watching the situation with Mr. Bout, a Russian citizen arrested in Bangkok in March last year. A month ago, on 11 August, the criminal court of Thailand refused to extradite our compatriot to the United States. A petition to bail out the Russian citizen was declined due to the concerns of the General Prosecutor’s Office of Thailand about possible violation of the bail condition not to leave the country. We hope that the court of appeals of Thailand will make a fair and impartial decision, fully complying with the country’s legislation and international regulations and will facilitate a quick return of Mr. Bout back home. We will continue to take necessary steps to protect the legal rights and interests of our compatriot. Yesterday the information on the investigation of the ‘Arctic Sea’ cargo ship seizure by pirates was posted on the website of the Foreign Ministry. The situation is still developing. At present, the cargo ship is at sea; the closest port is Las Palmas (the Canary Islands, Spain). I can confirm that an investigation team from the Investigatory Committee of the Public Prosecution Office of the Russian Federation is already on board the ‘Arctic Sea’ and is carrying out a probe. This work will continue for some time. Clearly, it’s too early to talk about results now. But I am certain that all those people who have been dreaming up sensational explanations will be disappointed as far as this case goes. I would like to emphasize again that the Russian investigators are continuing their cooperation with foreign colleagues, with Malta in particular, since it’s the ship’s flag state. In line with the agreement reached with the Maltese, five Maltese investigators have already arrived in Las Palmas. But they haven’t yet gone to the ‘Arctic Sea’. Possibly this is due to a heavy storm in that part of the ocean. Our investigators are in constant contact with us and keep us informed on the course of the investigation. The Russian Foreign Ministry, our Embassy and Spain are providing all necessary assistance in the investigation. On 9th September, an international Ossetian youth construction team made up of Ossetians living in European countries headed for South Ossetia to take part in restoration works in Tskhinval, which was destroyed by Georgian troops. Young people from Belgium, France, Germany, the Netherlands and Ukraine will be working in the Jewish quarter – one of the major historic and cultural attractions of Tskhinval – up to 26th September. 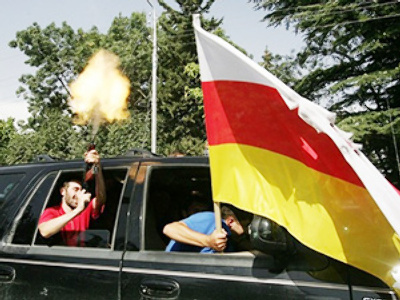 The campaign was initiated by a Belgian Ossetian organization called Alanty Nykhas, and the Belgium branch of the Ossetian organization Vozrazhkeniye, with the active participation of the governments of North and South Ossetia, and of the Ossetian community in Moscow. Despite the fact that the independence of South Ossetia has not been recognized by EU countries, the young people decided to participate in the campaign. This goes to show their active feelings of citizenship and patriotism. I received a question regarding the following. On 9th September, 2009 the State Duma adopted the draft law ‘On Amendments to the Federal Law on Defence’ in the first reading. The Plenipotentiary of the Russian President in the State Duma, Mr. Minkh, presented the draft law and noted that, according to the draft law, Russian troops may be deployed outside Russia in order to repel attacks on our troops located outside our country to prevent aggression against another state, to protect Russian citizens abroad, to fight piracy and to ensure security of navigation. The draft legislation states that decisions on the operational deployment of the Armed Forces of the Russian Federation shall be made by the President, based on corresponding regulations of the Federation Council. The total number of Armed Forces formations, area of their operation and term of deployment shall be defined by the President. The decision on the pre-term recall of the Armed Forces formations shall also be made by the Head of State or by the Defense Ministry on his command, the President’s Representative, Mr. Minkh, stated. Defense Committee Chairman Viktor Zavarzin drew attention to the fact that the need for a legal draft providing a mechanism on the operational deployment of Armed Forces outside the Russian Federation has long been present, and the importance of this draft is beyond doubt. The legal draft – and I would like to emphasize this now – was accepted in the first reading, receiving 448 positive votes. And one final point before we proceed to the Q/A session. I would like to tell you that yesterday, 9th September, the Diplomatic Academy of the Russian Federation hosted a scientific conference devoted to the 100th anniversary of Andrey Gromyko, the great Russian diplomat and statesman. This is one of the events organized in honor of the former head of our ministry. The Russian Foreign Minister, Sergey Lavrov, made an opening address. Veterans of the diplomatic service shared their reminiscences about Mr. Gromyko. You can find more detailed information on our web-site. Thank you for your attention. You are welcome to ask your questions. Q: I have a question about the presidential election campaign in Ukraine. Are there any candidates who would contribute to a warming of relations between Russia and Ukraine if elected? And my second question is about the Chichvarkin case. What is the situation like in light of the warrant for arrest issued in London? A: Thank you for your question. Indeed, we are going to watch the situation in Ukraine closely. We are ready to develop Russian-Ukrainian cooperation, no matter who is in power, no matter who is elected by the free vote of the Ukrainian people. As for the second question on the Chichvarkin case, according to the latest information I have received – and the information has been confirmed – the former owner of “Euroset,” Mr. Chichvarkin, was arrested in London September 7, at the request of Russian General Prosecutor’s Office. The same day, he appeared before the court of Westminster and was released on bail for the period before the court hearing on his extradition, which is scheduled to begin on September 22nd of this year. We hope that this time we won’t see the recurring situation when a criminal suspect to be extradited to Russia is depicted as another victim of political persecution. I find it very important. That’s all I can tell you about this. Q: As far as we know, yesterday the Foreign Ministry of Iran answered the proposal of the G6 on settlement of the situation around the Iranian nuclear program. Could you give us a summary of this answer? What will the reaction of the Russian Foreign Ministry be? A: I can say that yesterday in Tehran, G6 representatives officially received a set of proposals from Iran regarding further cooperation with the G6. Now we are considering them. We hope that negotiations on the Iranian nuclear program between Iran and the G6 will continue. The document requires close consideration. It contains a lot of arguments and requires expert assessment. In diplomatic practice, such information cannot be disclosed. Only after we consider this document and discuss it with our colleagues from the six countries will we be able to express our opinion on it, jointly or individually. Q: Could you comment on the results of the Moscow visit of Riga’s Mayor, Mr. Ushakov? Thank you. A: Thank you for your question. I read up on this issue before the briefing. This is more of a question for our Mayor’s office. Still, I think that I can provide you with this information. Mr. Ushakov was the head of the official delegation of Riga that stayed in Moscow September 2-6. The talks with Mr. Luzhkov, the Mayor of Moscow, dwelled on the issues of the bilateral cooperation between Moscow and Riga, and the prospects of its further development. The sides have signed a Program of Co-operation between the governments of Moscow and Riga for 2009-2011, designed to step up bilateral ties between the two cities in terms of trade and economy, culture, sports and tourism, etc. Trade expansion of Latvian products under the Rizhskaya Marka brand in the Moscow stores and markets was also discussed. The mayors tackled the issue of a possible set-up of a cultural and business center called Riga House. The two sides showed mutual interest in finalizing their joint project on building a car factory, ÃƒÂÃ‚ÂÃƒÂÃ…â€œÃƒÂÃ…Â¾ ÃƒÂÃ‚Â LANT, in Yeglava. During the delegation’s stay in Moscow, the city conducted a Riga Park opening ceremony. The Russian Foreign Ministry welcomes deeper regional cooperation between Russia and Latvia. Moscow and Riga and St. Petersburg and Riga have demonstrated the closest ties, which contribute to trade and economic, scientific, technical and cultural relations between the neighboring countries. Q: How would you comment on media reports about a secret visit of Netanyahu to Moscow? A: We have seen different, and sometimes contradictory, reports in the media. I cannot tell you anything on the issue. I do not have such information. But yes, we did see these reports. Q: I have two questions. Could you give us the exact date of Mr. Lavrov’s visit to Kharkov and what issues are going to be discussed there? And my second question is about the amendments to the Law on Defense. How can this law be applied in case the situation in the Crimea worsens. There’s been a heated discussion in the Russian and Ukrainian media regarding this issue. A: Thank you. As for the meeting of our prime ministers you just mentioned – oh, sorry, the meeting of our Foreign Ministers – this meeting will be conducted as part of the coming session of the UN General Assembly. Our President is first going on a visit to the Swiss Confederation and then he is going to New York, together with the Foreign Minister. 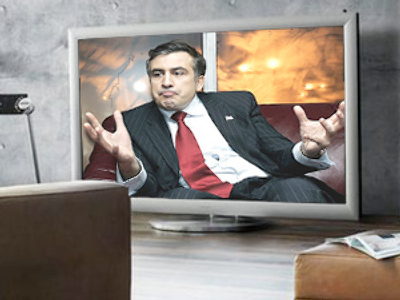 Our Foreign Minister is planning his meetings according to the meeting schedule with the Ukrainian Foreign Minister. They last met on the island of Corfu last month as part of OSCE meetings. With regards to the law you mentioned, I would not like to give any comments on it. I would like to avoid early speculation. First of all, the law should be approved in the last reading. Then it should come into force – and there is a special procedure stipulated by our Constitution. So, let us wait till the document comes into full legal force, and then we will be able to discuss how it can possibly be used. Thank you very much for your attention. Goodbye for the moment.